UNESCO designated UVA as America's first and only collegiate World Heritage Site in 1987, an honor shared with nearby Monticello. 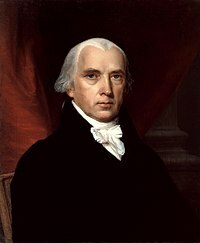 The university was established in 1819, and its original governing Board of Visitors included Thomas Jefferson, James Madison, and James Monroe. Monroe was the sitting President of the United States at the time of its foundation. 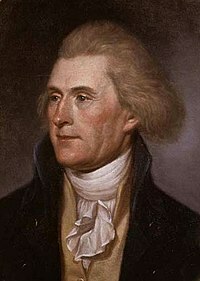 Former Presidents Jefferson and Madison were UVA's first two rectors and the Academical Village and original courses of study were conceived and designed by Jefferson. The university's research endeavors are highly recognized. In 2015, Science honored UVA faculty for discovering two of its top 10 annual scientific breakthroughs; from the fields of Medicine and Psychology. UVA is one of 62 institutions in the Association of American Universities (AAU), an organization of preeminent North American research universities. It is the only AAU member university located in Virginia. UVA is classified as a Research University with Very High Research by the Carnegie Foundation, and is considered Virginia's flagship university by the College Board. The university was the first non-founding member, and the first university of the American South, to attain AAU membership in 1904. UVA has been referred to as a "Public Ivy" by various sources. Companies founded by UVA students and alumni, such as Reddit, generate more than $1.6 trillion in annual revenue - equivalent to an economy the size of Canada, 10th-largest in the world. UVA's academic strength is broad, with 121 majors across the eight undergraduate and three professional schools. Students compete in 26 collegiate sports and UVA leads the Atlantic Coast Conference in men's NCAA team national championships with 17. UVA is second in women's NCAA titles with 7. UVA was awarded the Capital One Cup in 2015 after fielding the top overall men's athletics programs in the nation. Students come to attend the university in Charlottesville from all 50 states and 147 countries. The historical campus occupies 1,682 acres (681 ha), many of which are internationally protected by UNESCO and widely recognized as some of the most beautiful collegiate grounds in the country. UVA additionally maintains 2,913 acres (1,179 ha) southeast of the city, at Morven Farm. 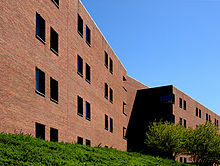 The university also manages the College at Wise in Southwest Virginia, and until 1972 operated George Mason University and the University of Mary Washington in Northern Virginia. What are the academic rankings for University of Virginia? 1. number 32 for Academics. What universities are similar to University of Virginia?